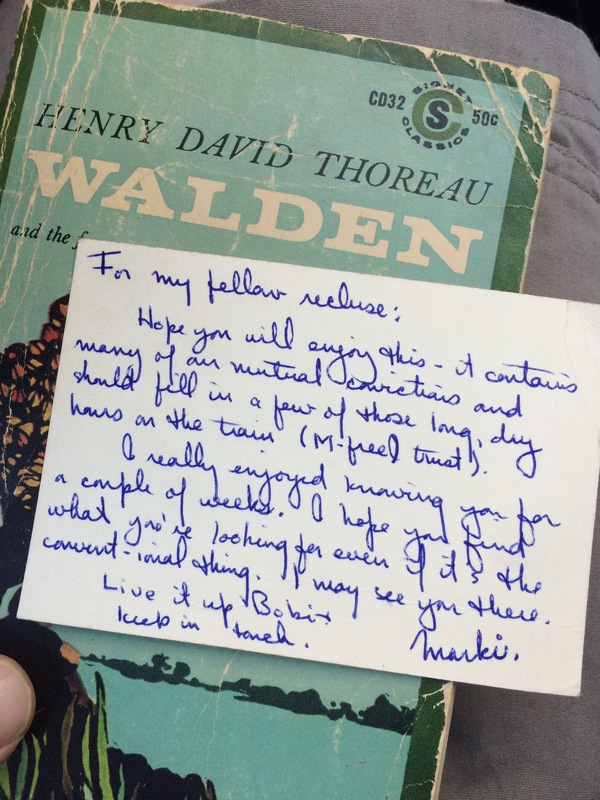 In an old paperback copy of “Walden” a friend was giving away in Montreal, just prior to a trip to vancouver. Tried to find the shop, but had been replaced by big downtown steel buildings. Hope you will enjoy this – it contains many of our mutual convictions and should fill in a few of those long, dry hours on the train. I really enjoyed knowing you for a couple of weeks. I hope you find what you’re looking for even if it’s the convent-ional thing. I may see you there. Live it up Bobi & keep in touch.